ONE LOOP LARGE BREAD BASKET WITH A TWIST This large bread basket has one loop in each handle and a twist around the top. ROUND BREAD BASKET WITH LOVE KNOTS This lovely bread basket is adorned with love knots. 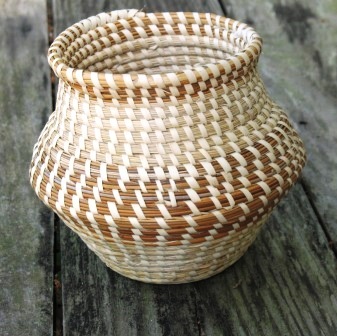 ROUND CROSSHANDLE SWEETGRASS BASKET This is a beautiful, rather shallow, round sweetgrass basket. ROUND CROSSHANDLE SWEETGRASS BASKET W/ LOVE KNOTS This lovely crosshandle basket is adorned with love knots around the top. It is shallow enough to use for display, bread, or any other reason. 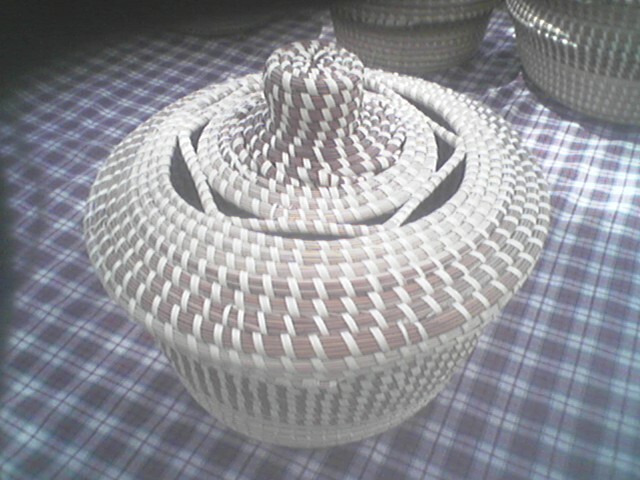 ROUND LOOPED SWEETGRASS BASKET This basket is ideal for fruit or anything else you might want to display. ROUND SWEETGRASS EARRINGS These lovely sweetgrass earrings are for pierced ears. 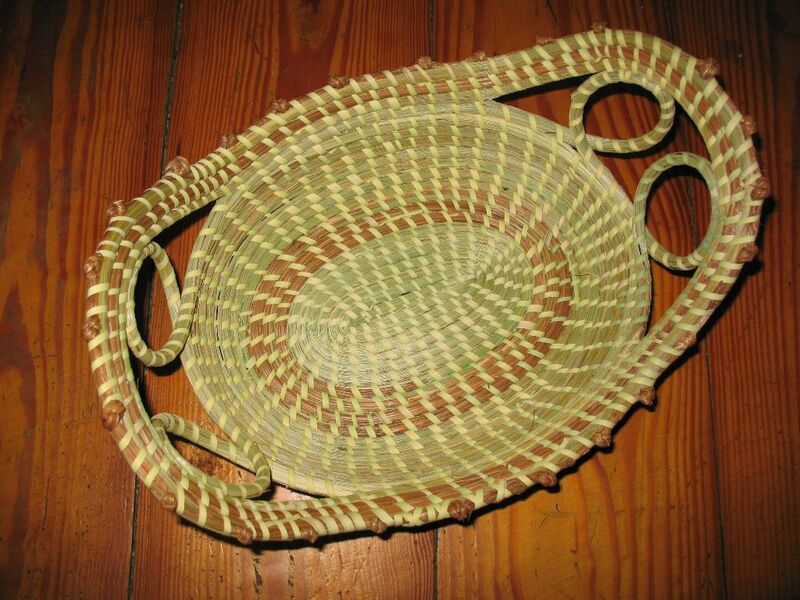 STRAIGHT SIDED SWEETGRASS BREAD BASKET This basket is a little deeper and has love knots around the top and one loop in the handle.